Nazem Kadri has been the best Leaf all season long. That has been said numerous times by now. Head coach Randy Carlyle is quietly starting to increase his ice time. He played above 18 minutes against the Bruins, above 21 minutes against the Sabres, and above 15 minutes against the Lightning. Kadri has averaged just above 15 minutes a game for most of the year, but is starting to earn the trust in Carlyle to increase his ice time. In the game against Tampa Bay, Kadri’s line was matched up against Steven Stamkos’ line for most of the night. It was a matchup in which Kadri came out as the winner, and it lead to his coach’s recognition after the game. Carlyle said that it would be the focus of the coaching staff moving forward to provide opportunities for Kadri in which he can play against the top players of the opposition. Kadri now ranks eighth in the NHL in scoring with 38 points. Steadily increasing his ice time should be the focus moving forward. If they can get him playing similar minutes to first liners around the league, then you will see his production increase even more. 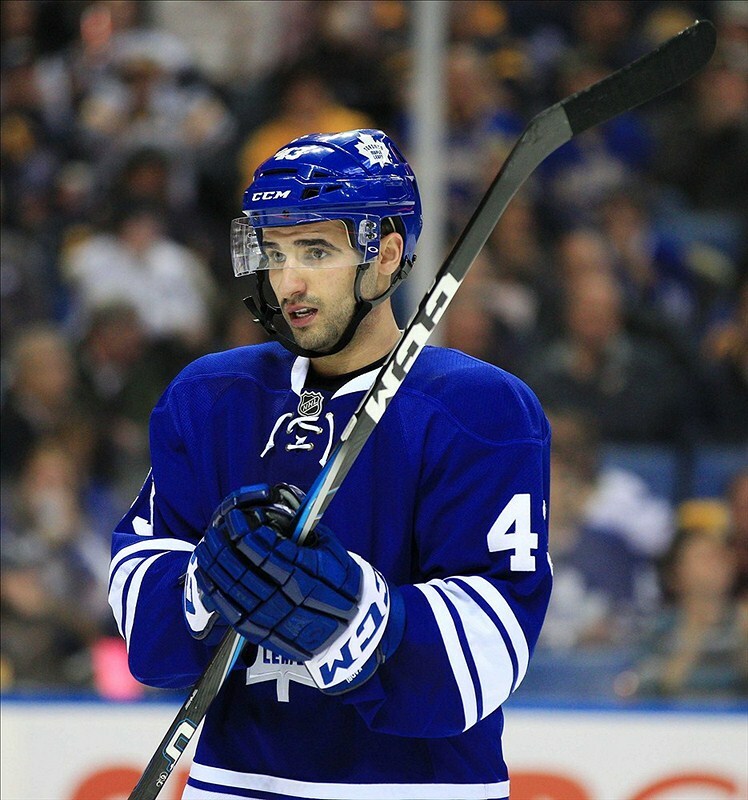 Also, the Leafs should look to replace Tyler Bozak with Kadri on the first power play line. Every time he comes onto the ice, something good happens. Yes, it was not a dream. The Toronto Maple Leafs actually beat the Boston Bruins. The Leafs snapped an eight game losing skid against the Bruins dating back to March of 2011. If you go back a few more years, the Bruins are 25-5-5 against Toronto as of February 2007. Credit to James Mirtle of the Globe and Mail for posting that statistic on his Twitter yesterday. It has been a lopsided rivalry, but the Leafs were able to pick up a very important two points. Former Maple Leafs captain Mats Sundin dropped the puck before the game, and it only made sense that the Leafs honoured him by recording 13 shots on goal. The Leafs play the Bruins again tomorrow night in Boston. Joffrey Lupul will return to the lineup after serving his two game suspension. He has been one of the only forces for the Leafs against the Bruins, having scored seven points in eight games. Throughout his career, he has tallied 15 points against Boston in 20 games. Credit to Crystal Collins for providing those stats. Great job by Dion Phaneuf clearing the puck in the last minute. Tyler Seguin would have had an empty net to tie the game. Surprised there were no “Thank You Kessel” chants after the back check on Tyler Seguin. You’ll definitely hear them tomorrow night. James Reimer and his .917 save percentage are ninth amongst goaltenders in the league who have played more than 19 games this season. Some people were calling for Reimer’s head last week. I don’t see how the Leafs have a goaltending problem. The Leafs might have to recall Korbinian Holzer due to John-Michael Liles ankle injury. Nikolai Kulemin and Mikhail Grabovski are starting to pick up their production. Seems a divorce was good for both of them. Bob McKenzie reported today that College UFA Dan Dekeyser would be fielding offers from NHL teams on Tuesday. There is no reason why the Leafs shouldn’t pursue him. Next week’s Leafs thoughts will focus on the trade deadline. And give my personal Facebook page a like. If you have any questions or concerns, please do not hesitate to email me at: Raihanh95@gmail.com. All inquiries are welcome!